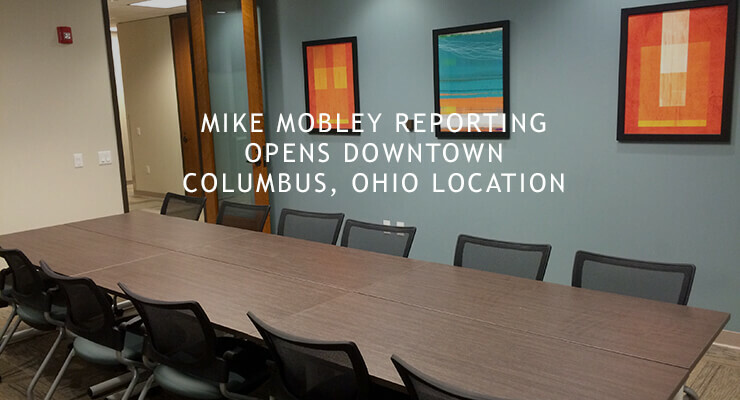 Mike Mobley Reporting, the largest court reporting firm based in Southwest Ohio, has announced a new location in downtown Columbus, Ohio. Mike Mobley Reporting announced they have opened a new location in downtown Columbus, Ohio, across the street from The Ohio Statehouse, providing court reporters, legal video, and videoconferencing. Professional videoconferencing equipment is available at the new location for those who prefer not to or are unable to travel. This allows all necessary parties to attend depositions and other meetings remotely from anywhere. Founded in 1979, Mike Mobley Reporting has been a mainstay of Ohio’s litigation support industry and is currently the largest court reporting firm based in Southwest Ohio. The firm has pioneered the use of new court reporting technologies such as e-transcripts, realtime reporting, live deposition streaming, video depositions, videoconferencing, and more. Law firms, court reporting firms, and corporations around the nation have come to rely on Mike Mobley Reporting to provide court reporters, court reporting services, and conference rooms throughout Southwest Ohio. Their experienced and credentialed reporters are able to handle any legal proceeding. To schedule a deposition or find out more information about Mike Mobley Reporting, call 1-800-894-4327.